Ten years ago I was often sitting at a small desk in a cold Beijing apartment late into the night scrabbling together classes on Irish history. Or post-war British architecture. Or dialect and poetry, or whatever it was that I hoped would capture students’ attention that week. At the end of the summer I’d unexpectedly landed a gig teaching in a Chinese university for a semester – so unexpectedly that I’d had just a couple of weeks to plan courses, raid libraries, scan whatever material I could get my hands on, and pray that I could wing the rest. Sitting behind the Great Firewall, it turned out that my best resources were new digital archives like the BFI player or the online exhibitions from the British National Archives. In 2007, digitization was a remote prospect for most Irish institutions; the recession that hit a few months later made it even more remote. 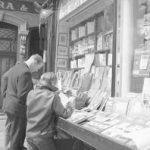 Now the landscape looks very different: in 2015 the Digital Repository of Ireland launched as a single portal for multiple Irish collections, and just last year it was joined by the IFI Player. With many more digital projects ongoing, if I were back in that Beijing apartment I’d have no excuse for begging my brother for screenshots of Wikipedia pages every other night. 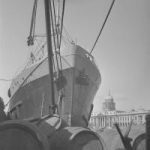 One of the latest additions to Ireland’s digitized cultural heritage is the Dublin City Library digital archive. 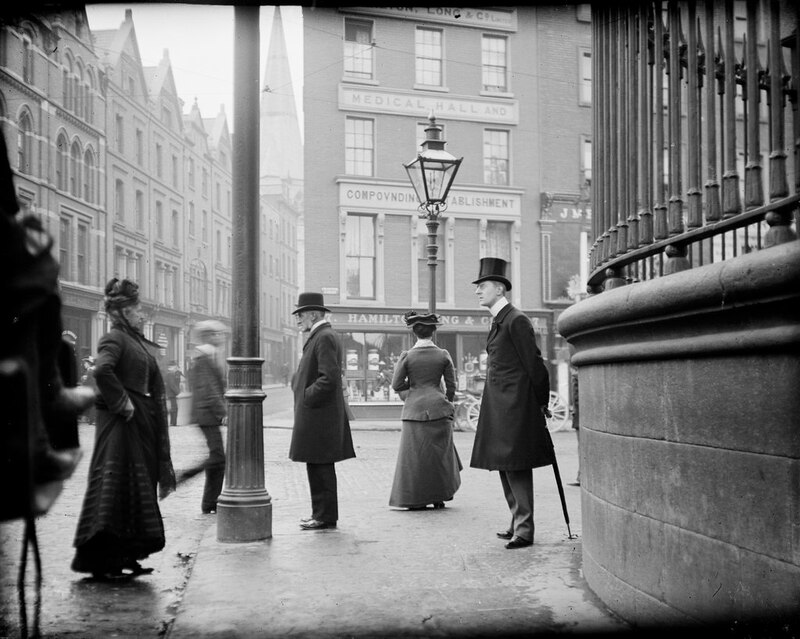 In February this year it opened public access to over 43,000 photographs, letters, postcards, maps, and ephemera from centuries of Dublin life. There are finds from the Wide Street Commission Map Collection (1757-1851), the Irish Theatre Archive and the Birth of the Republic Collection, as well as the Fáilte Ireland Photographic Collection, which extends countrywide. And as that collection shows, the beauty of a raw digital archive is that it is not limited by pressures of exhibition space or a curator’s narrative. It is a cornucopia of goodies: find in it what you will. As well as the expected shots of scenic Wicklow and the doorknobs of Georgian Dublin, for instance, the Fáilte Ireland collection also has photographs of mountaineering in Kerry in 1940. The city archive shows the grand boulevard of O’Connell Street and imposing eighteenth-century architecture, but also long-disappeared bookstalls along the quays, ships in the city’s busy docks, and the new brutalism of late 1960s architecture like Fitzwilton House (now marked for demolition). Like all these collections, it tantalises with many stories to be told. Here’s a modernizing city: busy and industrious, reaching upwards to the sky in new steel and concrete. Or here is a country that is Europe’s playground, all horse racing and game fishing and golf – even in the midst of a European war. But there is much more to be discovered, and all of it open and free to use, whether you are in Bandon or Beijing.